The Guarding the West Gate Portal is for background reviews within the United States of America, for backgrounds outside the United State of America please contact the Tiler@gardingthewestgate.com directly for additional information and discussion of fees. The fee for the background review is $16.00. PayPal Pro is the preferred method of payment; all payments are processed and protected by PayPal. Guarding the West Gate does not have access to the Petitioners credit or debit card information. Take Notice, Guarding the West Gate will not store any secure order information. Our secure checkout is processed & protected by PayPal. The information I entered is true and accurate; I am requesting this service for the sole purpose of using the report generated by this service to assist in the filing of my Masonic Petition for Initiation and Advancement in a Masonic Lodge or Affiliated Masonic Entity. If a report is needed for another purpose besides Initiation and Advancement of a Petition for a Masonic Lodge, or Affiliated Masonic Entity, I fully understand that I may contact Guarding the West Gate at tiler@guardingthewestgate.com for discussion. I am requesting this service using my personal information and that I am the person requesting this service be performed. I understand that misuse of the Guarding the West Gate Portal or the Report generated by my request in any form may result in Criminal Prosecution and/or Litigation as well as Masonic Investigation. I understand and hereby acknowledge that no promises or guarantees have been expressed orally or in writing relating to the outcome of this service. I understand that the information contained in any report may not be complete. The information is gathered from a variety of legally accessed sources, public and private, and that The Grand Lodge of New York, The Grand Lodge of the District of Columbia, Guarding the West Gate, and Pasquale Imbimbo, Private Detective, their agents and employees have no control over and such information or data is subject to human error, merger of data through computers, or common key stroke or entry errors. I understand that accuracy of the data and information gathered and discovered is limited to the information and accuracy of the information provided by me. I understand, promise and guarantee that I have the legal authority to request this service and the results of the requested services will be used legally and securely. I understand that once Guarding the West Gate transmits the background review report to me, that I am responsible for the security of the report and associated information contained within. 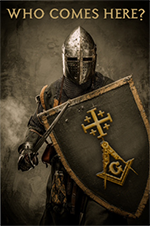 I furthermore understand that once I file a Petition for Initiation and Advancement within a Masonic Lodge or Entity, that particular Masonic Lodge or Entity may communicate with Guarding the West Gate for confirmation. I furthermore give my consent allowing Guarding the West Gate and its employees and agents to provide the contents of my background review report and associated information to the Grand Lodge of New York or the Grand Lodge of the District of Columbia or the Grand Lodge or Masonic Lodge or Masonic Entity of which I am seeking membership. I hereby release, hold harmless, discharge and exonerate the agents, employees and representatives of Guarding the West Gate, Pasquale Imbimbo, Private Detective and the Grand Lodge of the State of New York and the Grand Lodge of the District of Columbia and any other Grand Lodge or any Masonic Lodge or Masonic Entity from any and all liability, of every nature and kind, arising out of the Background Review process or the Background Review Report furnished to me or to the Masonic Lodge or Masonic Entity that I have voluntarily submitted my Petition and Background Review to for consideration for membership. By my submission of this request for a background review, by providing my personal information and submitting a payment for the requested service, I acknowledge that I have read the forgoing document, and all the documents And provided information on the Guarding the West Gate Portal and that I fully understand the contents contained within and voluntarily request a Background Review Report. I understand that if I have any questions or do not understand any of the information provided above or presented anywhere on the Guarding the West Gate Portal/Website, I will contact Guarding the West Gate at Tiler@guardingthewestgate.com before submitting my personal information and making a payment. Take Notice, Guarding the West Gate does not store any secure order information. The secure checkout is processed and protected by PayPal.